A few of you may recognise Despite Exile from a previous review here. I reviewed their most recent record Re-Evolve a while back. It's now the turn of their 2011 record Scarlet Reverie. Just to remind everyone, these guys are a modern metal band from Udine, Italy. They've been lucky enough to grace stages across Italy with bands like Texas In July and are destined for good things in 2013. Scarlet Reverie heralds the kind of progressive sound that made it's way onto their later Re-Evolve record. 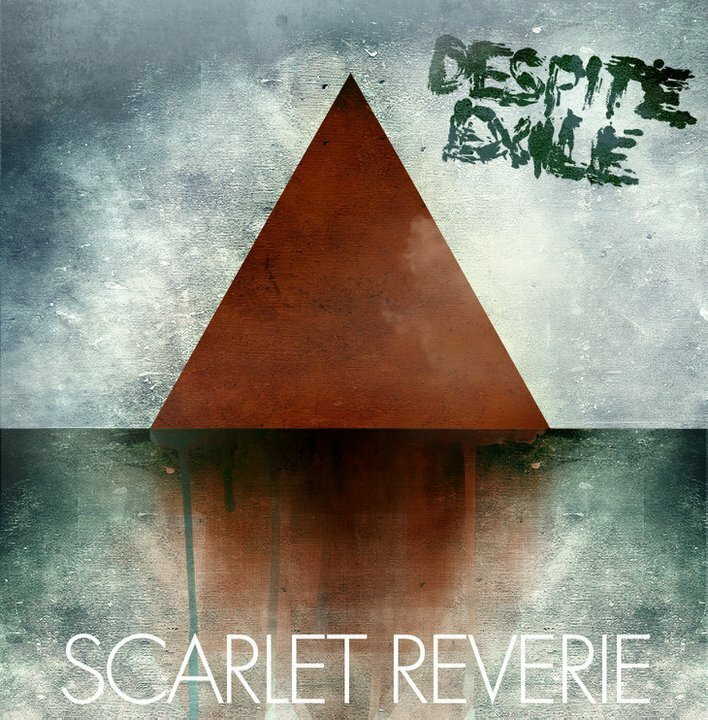 It's modern and heavy, but while Re-Evolve was more off-kilter and akin to djent, Scarlet Reverie is more closely aligned to death metal. That's no bad thing of course, as that makes Scarlet Reverie more straightforward. Despite Exile still manage to throw in plenty of technicality though, with plenty of metallic riffs and odd time signatures. They're currently unsigned, but I can see them fitting in well with Basick Records! They keep their song lengths short as well, sticking to the usual 3-4 minute blast, as opposed to being to theatrical. They incorporate equal technicality and mosh in places, which makes a varied listen. This is especially the case in second song Kawabonga. There's also plenty of pinch harmonics too add to the barrage of influences and textures at play here. The raspy screams are joined by low deathly grunts, which show a coming together of styles as well. This is skilled stuff, there's no denying that. All band members know what they're doing and pull of a sound that, while may sounding generic to start with, blooms into something that's pleasing on the ear and heavy enough to satisfy the more discerning fan. The production also helps Despite Exile too, with plenty of warmth and clarity. Overall, Scarlet Reverie is a very accomplished record and while Despite Exile progressed with their later EP Re-Evolve, this record still stands up well and proves that they deserve more attention. Someone snap em up!